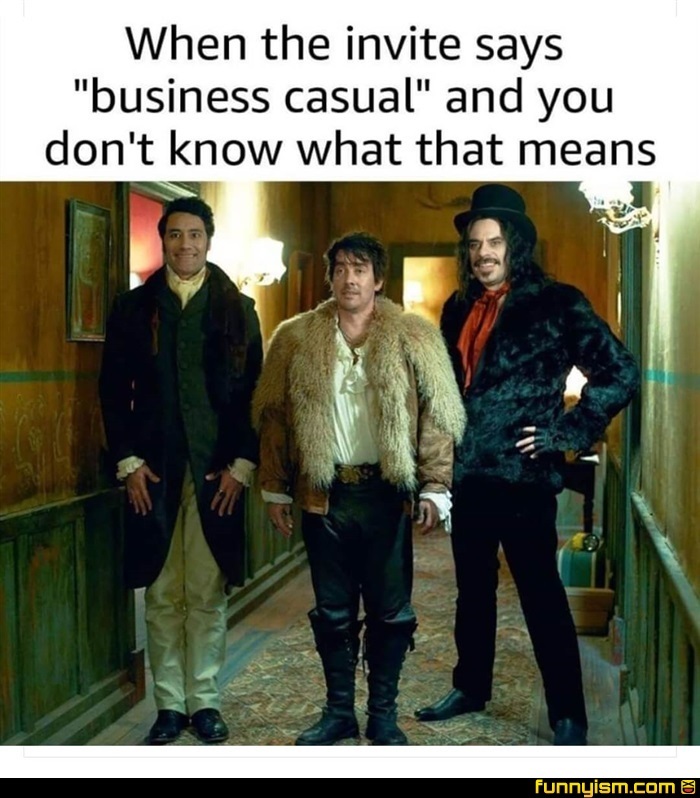 What we Do in the Shadows is one of my favorite films! hit it up. Last I checked it was free to watch on Amazon Prime. @SexyMormon, i just watched it for the first time like two weeks ago. It was great! Why aren't there more movies like this? @eleven, it means pants and a button up shirt.